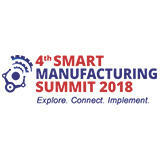 "The 4th edition of the CII Smart Manufacturing Summit is getting BIGGER and BETTER." Smart Manufacturing Summit will help companies find answers on how to build intelligent, efficient, agile supply chains that will help enable shop floor operations to be driven by customer choices. The conference will also deliberate on policy imperatives for India to transform into a global smart manufacturing hub.